The numerous anecdotes alone are worth the price of the book . . . most readers will find themselves asking why everyone doesn't run a business as preached by the chief executive of Continental Airlines. -The Washington Post Book World . . . in an age where managing seems increasingly complicated, some of Bethune's prescriptions are refreshingly straightforward. -Business Week From Worst to First outlines Gordon Bethune's triumphs . . . about the turnaround he's led at Continental, a perennial basket case that's become an industry darling. 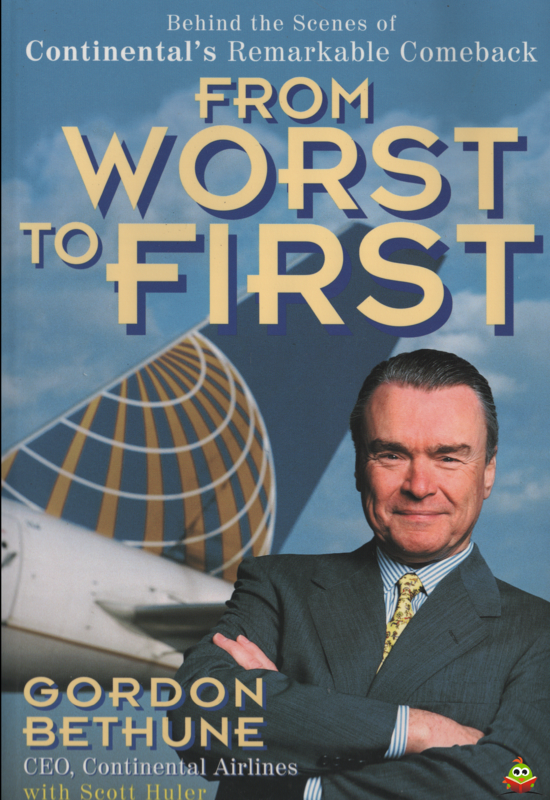 -The Atlanta Journal-Constitution From Worst to First is [Gordon Bethune's] story of Continental Airlines' turnaround under his command . . . The blueprint has worked . . . Fortune magazine named Continental the company that has 'raised its overall marks more than any other in the 1990s. 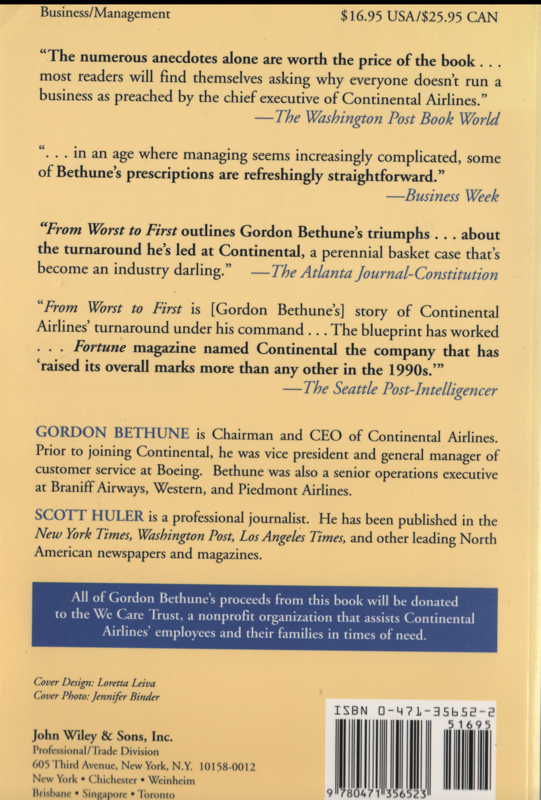 '-The Seattle Post-Intelligencer All of Gordon Bethune's proceeds from this book will be donated to the We Care Trust, a nonprofit organization that assists Continental Airlines' employees and their families in times of need.